The FIS Races are awesome for the whole family. So with the World Cups in town I thought I would take a look at some of the best deals for you mums and dads out there. The Killington Cup: November 23-25. 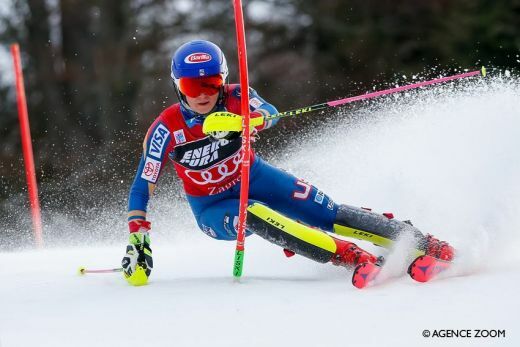 A women’s race featuring Giant Slalom and Slalom at the “Beast of the East,” Killington Resort in Vermont. The festivities begin with the public bib draw, live music and fireworks on Friday night. In addition to racing on Saturday and Sunday, families should mark their calendars for the Saturday night screening of Warren Miller’s Face of Winter movie. Lake Louise Audi FIS Ski World Cup: November 23-25 (Men), November 30-December 2 (Women). At Lake Louise in Banff National Park, Alberta, up to two kids ski free on race day with the purchase of an adult ticket. Additionally, fifty beginner skiers between ages 3 and 12 can take a free ski lesson on each Saturday and Sunday of the men’s and women’s events. Look for the FIS Snow Kidz sign and check in early. Lessons run from 9:00 a.m. - 11:00 a.m. After each lesson, kids will be escorted to the Kid Zone at the finish area to watch the race, get autographs and roast marshmallows. Birds of Prey Men’s World Cup: November 30 - December 2. Colorado’s Xfinity Birds of Prey event at Beaver Creek is more family-friendly than ever. New this year, is a finish area zone where younger kids can watch the race without taller kids and adults blocking their view. Organized by the Vail Valley Foundation’s YouthPower365, the Kids Zone will involve fun games, autograph opportunities and prizes along with a great view of the races. After each day’s racing is complete, the ice rink in Beaver Creek village will be the focus of more family fun with skating, outdoor games and some additional surprises.